Archdeacons are senior clergy within the Diocese and work with the Diocesan Bishop as part of her staff team, taking responsibility for a specific area of the Diocese (the Archdeaconry). The Venerable Hilary Dawson joined the Diocese as Archdeacon of Gloucester in January 2019. The archdeaconry includes the five deaneries of Forest South, Severn Vale, Gloucester City, Stroud and Wotton. 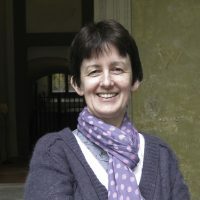 In addition to her responsibilities as Archdeacon, the office holder is a Residentiary Canon of Gloucester Cathedral which means being part of the clergy team and Chapter. The Venerable Phil Andrew joined the Diocese as Archdeacon of Cheltenham in March 2017. The Archdeacon of Cheltenham has responsibility for the four deaneries on the eastern side of the Diocese covering Cheltenham, Tewkesbury, Cirencester, and the Cotswolds. The Diocese of Gloucester is divided roughly down the middle with the Gloucester Archdeaconry to the west and Cheltenham Archdeaconry to the east. Archdeacons have a wide variety of responsibilities, each contributing towards the healthy mission and ministry of the parishes and worshipping communities within their areas, as well as sharing in the wider strategic life of the Diocese. They support clergy, churchwardens and PCCs in both their spiritual and practical exercise of mission in their local context. Archdeacons work closely with Area Deans and Deanery Lay Chairs and have a particular role during a vacancy (ie when a member of clergy has moved or retired) and in the appointment of clergy. Hilary was born and brought up in Devon and was a teacher for 18 years. She trained for ministry with South West Ministry Training and was awarded an MA in Biblical Studies from Exeter University. 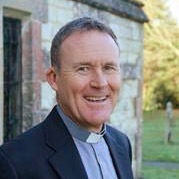 Before his appointment as Archdeacon, Phil spent almost 11 years as Vicar of St Mary’s Church in Reigate, Surrey, where he was also an honorary canon of Southwark Cathedral. Before training for ordained ministry at St John’s College in Nottingham Phil had a career as a Chartered Engineer, working in a number of management roles overseeing design and construction projects particularly in the UK water industry and including several projects in Gloucestershire with Severn Trent Water. Phil is married to Sue, a GP, and has three adult sons. Phil describes himself as being ‘passionate about ‘joining up’ real life and faith and helping people from all backgrounds and of all ages find that the Christian faith is as universally relevant in the 21st Century as it has ever been’.